Air New Zealand's story began on the 26th April 1940 when its forerunner airline, Tasman Empire Airways Limited (TEAL) was incorporated . TEAL began its first trans-Tasman services with flying boats, and over the years steadily expanded the size and scope of its operations and the extent of its international network. The route network was expanded from Australia and the Pacific to Asia, the USA, the UK and Europe. In October 1953 TEAL became jointly owned by the New Zealand and Australian Governments, and in April 1961 the New Zealand Government assumed full ownership. In April 1965 TEAL was renamed Air New Zealand Limited, and continued operating solely international services. 1965 also heralded the beginning of the jet era for Air New Zealand, with the arrival in July of the first DC-8 jet aircraft. The new jets meant that Air New Zealand could expand operations to North America and Asia, becoming a truly international airline. In 1973, Air New Zealand introduced the larger DC-10 to their fleet. The airline operated with a combined DC-8 and DC-10 fleet until the 1980s, when the larger Boeing 747 began to replace the older jets. Their first 747-200 arrived on the 22nd May 1981 (ZK-NZV CN 22722) and their last Boeing 747-400, affectionately referred to by pilots as "Daddy's Yacht", completed its final flight on the 12th September 2014 landing in Auckland from San Francisco. ZK-NBV (CN 26910) was that aircraft. At the start of June 2014, Air New Zealand announced it would be placing a NZ$1.6 billion order with Airbus for thirteen Airbus A320neo and Airbus A321neo aircraft. The airline’s first A321neo was unveiled on the 26th September 2018 and arrived in Auckland on the 5th November. The aircraft entered revenue service on the 23rd November 2018, operating between Auckland and Brisbane. 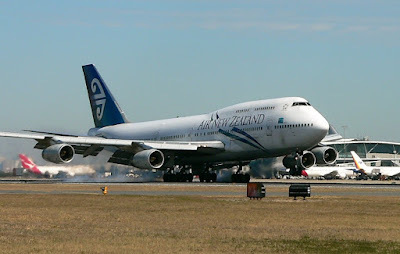 Air New Zealand's mainline fleet consists of Boeing aircraft for long-haul flights, and Airbus aircraft for domestic- and short-haul international flights. Its wholly owned subsidies, Mount Cook Airline, Eagle Air and Air Nelson, operate ATR 72 and Bombardier Q300 turboprop aircraft. 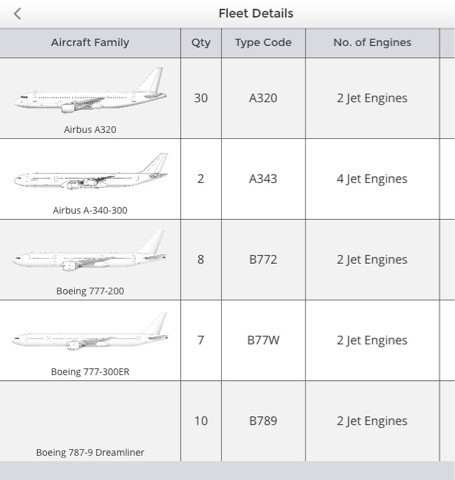 Air New Zealand's current fleet as of the 1st April 2019 is as below. Airbus A320neo 3 3 — — — 165 165 Replacing older A320-200s.